There are so many people who want to buy one property, per year, for the next 10 years. It’s a fantastic aspiration and there’s nothing wrong with having that dream at all. In fact, I’ve had the very same dream myself in the past and still love the idea of building a portfolio and holding 10 properties over time. But the reality is size doesn’t always matter. It sounds impressive to say ‘I have three properties’ or ‘I just bought my fourth property’ but throughout my own property investing journey, I’ve made some wins and some mistakes. The properties that were good investments have turned into great investments, and the properties that have been bad investments have turned into terrible investments. I’m at a point where I’m deciding whether to let go of the properties not performing or hold on and wait for… what? Looking back, I can now see it would be far better to have just one or two amazing investments than four, five or six average ones. The holding costs can be massive and if the capital gain isn’t being achieved, the hard work can seem like it’s all for nothing. That’s why I’m sticking to blue-chip properties from now on. I’ve tried the positive cash flow and hotspotting thing but over time, my best performing assets have been the ones in blue-chip locations, where capital growth is pretty much always assured because there will always be demand for these areas and people aspire to live there. Each year, their valuations get better. This, unfortunately, hasn’t been the case for some of the others and as we all know, stamp duty, agents’ fees and buying and selling costs are pretty big when it comes to investing. It’s awesome to read stories about people with huge portfolios and those who have done well. But I also think you, the investor, should be incredibly proud if you happen to have just one or two good investment properties. 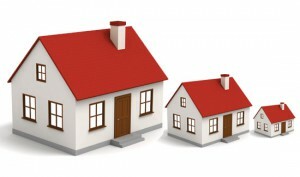 All you need is one good property and from that, you can leverage, extend your borrowing capacity and build wealth. Unfortunately, if you get stuck with a dud it can really set you back. I’m no property expert, accountant or adviser but I personally think it’s better to buy one great property every three years, instead of one average property every year, just for the sake of adding another number to the property portfolio. That’s just my opinion but it’s a lesson, and a good lesson, I think I’ve learnt over the past three and a half years, working at API magazine. 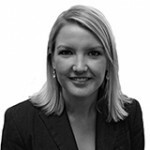 Lauren Day is the former deputy editor of Australian Property Investor Magazine and an avid property investor. With stamp duty, agents’ fees, legal costs and marketing fees, I think a property needs to appreciate about 10% before you break even. Great article Lauren. Thank you for reminding me of why we invest in high capital growth areas. It is what they are worth every year as appose to how many you have. I couldn’t agree more. My first property in Australia was a dud. It has cost me approximately $250k over 8 years. I have finally got the mortgage down enough to sell it, so it’s on the market. In the meantime, a property I have recently purchased in Kedron, Brisbane has increased in value by approximately $200k over the same period, and the holding costs are 1/3rd. I would most likely have an additional 4-5 properties by now if I hadn’t purchased that dud. 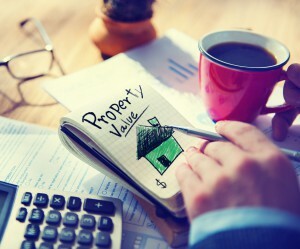 One great property instead of numerous average properties and going for blue chip locations sounds like great advise. Think I’ve done that although Blacktown is hot at present and Bondi Junction, where I’ve invested, isn’t even on the top 10.